Go ahead, set aside your keyboard, phone, tablet or virtual web-browsing helmet and head into your kitchen, coffee shop or gas station and grab a cup o' that sweet, sweet roasted nectar. We'll wait. Coffee is important, and you'll need it in order to relax with this lengthy video clip. Nintendo of Japan has offered up 47 minutes of interviews and Animal Crossing 3DS footage. It's in Japanese, though, so you'll need to rely on the imagery if you don't have a handle on the language. Some of the new stuff in this game that's evidenced in the clip? You'll be able to customize your town with objects like bridges. Spot-Pass will let you visit the homes of strangers. There are mini-games run by Tortimer. You'll be able to collect items from the ocean floor. And, heck, a lot more. 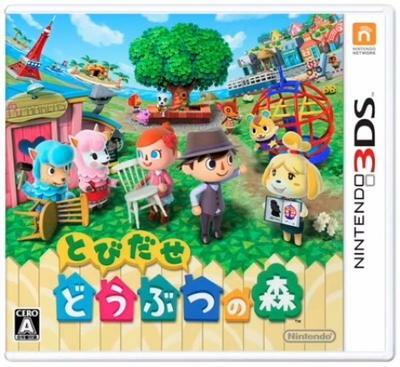 Animal Crossing 3DS will be going by the name Animal Crossing: Jump Out in English speaking regions. The title launches this November in Japan, but the rest of the world will have to wait until the first half of 2013 to get in on the action. Hopefully, Tom Nook won't be such a jerk about the mortgage this time.